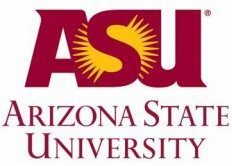 The Si Se Puede Foundation has partnered with Arizona State University to launch an all-women student engineering organization that focuses on underwater robotics. According to the students and their mentors, Desert WAVE (Women in Autonomous Vehicle Engineering) is the second all-female underwater robotics team in the world. Currently, Desert WAVE is working towards the RoboSub competition which will be held July 29 through August 4 at the San Diego Naval Base. Robots from 20 international collegiate teams will compete in a 16-foot deep testing pool that mimics being in the open ocean. The autonomous robots will have 20 minutes to shoot torpedoes at targets, drive through gates, pick up and use objects, follow acoustic sound indicators to find objects, and perform various other tasks. In addition to learning about robotics, a goal in establishing Desert WAVE was to start a program for women to build their skills, resumes, and their resilience together. The student group meets every week to not only design parts, build and program their robot, but also to talk about the stereotypes and bias that women experience in STEM fields. As the group continues to prepare for their international competition WAVE team president Whitney Foster praised her teammates for their work not as women, but as engineers doing their jobs.